Today is International Women's Day. I have written about this day in the past, but have a few further thoughts to share. It seems that recently opinions on many issues have become more polarized and people are more divided. The struggle between progress and traditionalism is becoming more acute, and several aspects of this have implications for women. While women have been justifiably outraged about the attitudes expressed by US President Trump toward women, to me the most shocking suggestion came during the election campaign. It was reported that some Trump supporters suggested taking away women's right to vote following a projection that without women voters Trump would win the elections, while with women voters Clinton would win. Less than a century after women in the US were finally given this right, it should not be taken for granted. 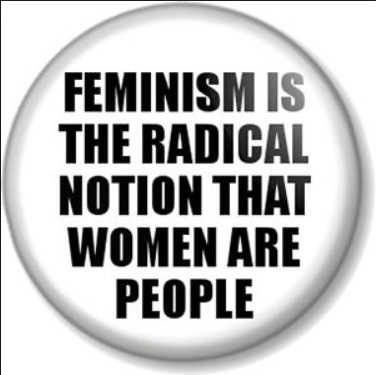 Those who believe that women already have equality and there is no need for feminism should realize that rights that have been granted can be revoked. The sudden removal of women's voting rights, property rights, and the right to work as described in Margaret Atwood's seminal novel, The Handmaid's Tale, seems to me less unlikely than ever. The so-called "post-factual" and anti-science atmosphere makes it easier for those in power to implement their policies without needing to justify them. Optimists like the quotation "The arc of moral universe is long, but it tends toward justice" (Martin Luther King). I do believe that there is progress and things are improving, but the arc is not a smooth progression, and there can be setbacks. Just as progress in the West was interrupted by the Dark Ages, moral progress toward justice can take a few steps back, under the influence of traditionalism and religion. While feminists like to talk about female solidarity and sisterhood, this does not seem to me to reflect reality. 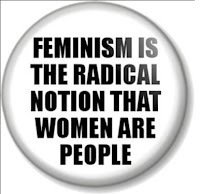 Recent trends within feminism have changed the focus from equality of women and men to other issues, such as supporting religious freedom even when those very religious beliefs remove women's equality and freedom, or accusing certain women of being "bad feminists" instead of accepting a diversity of feminist voices and expressions within the overall movement. I would like to see a return to the basic principles of supporting equality, cooperation, and diversity. This means opposing traditionalism (including religions), the cult of competition, and divisive ideologies (racism, nationalism). We should celebrate what makes us individual, seek out what unifies us all in our shared humanity, and try to minimize the impact of what divides us into groups and categories.